End of the BS4 street library? Thanks Nick, for all your efforts with this. Here’s a nice photo on a sunny day. In a time when ever-increasing government cutbacks have led to local councils making even harsher decisions, it seems that people power may have an answer. The library funding in Bristol has caused much howling of late, but this might be the signs of a practical opportunity. This pop-up library is little more than some ‘up-cycled’ old furniture filled with books. Anyone can visit it, take a book to read, perhaps replace it with another, or just do as they please. All without cost. 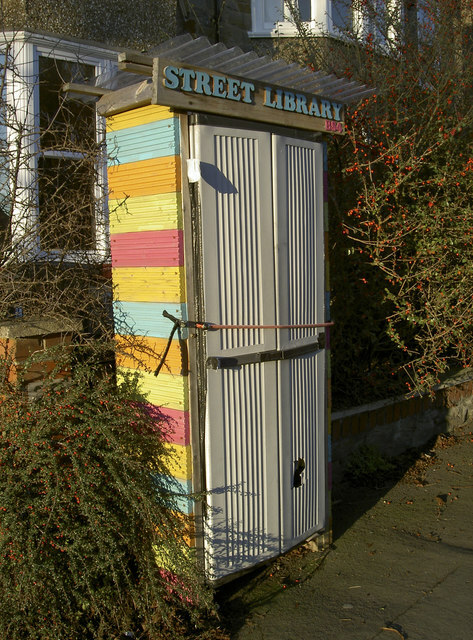 This colourful library in Crowndale Road was created by a Mr Tunstall for the use of the community.